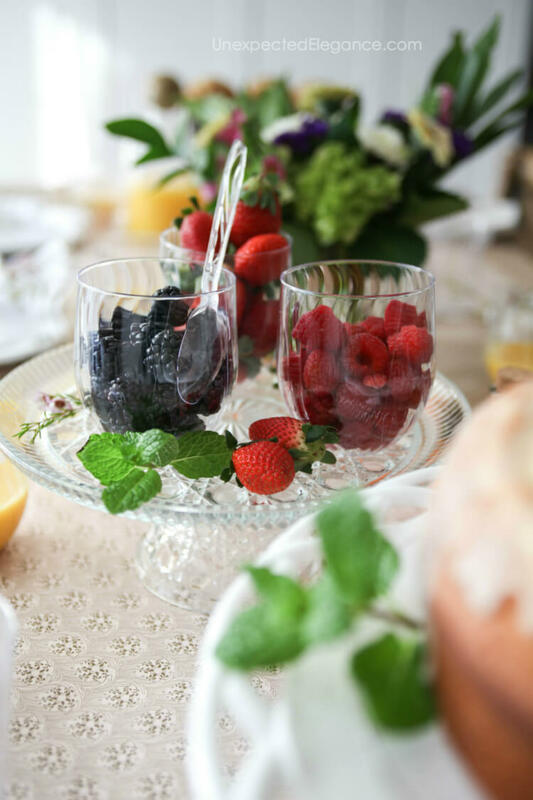 Get some simple and EASY spring brunch ideas for your next gathering. It doesn’t take a lot of time to pull off a great brunch! It’s a little hard for me to wrap my mind around the fact that it’s spring. The weather in Indiana is so crazy and we are still having snow storms!! However, I am just going to WILL spring to come by covering my house with store-bought flowers and pretending it’s warm outside. You know I’m a sucker for throwing a party, so I thought it would be fun to kick-off the new season with a spring brunch. 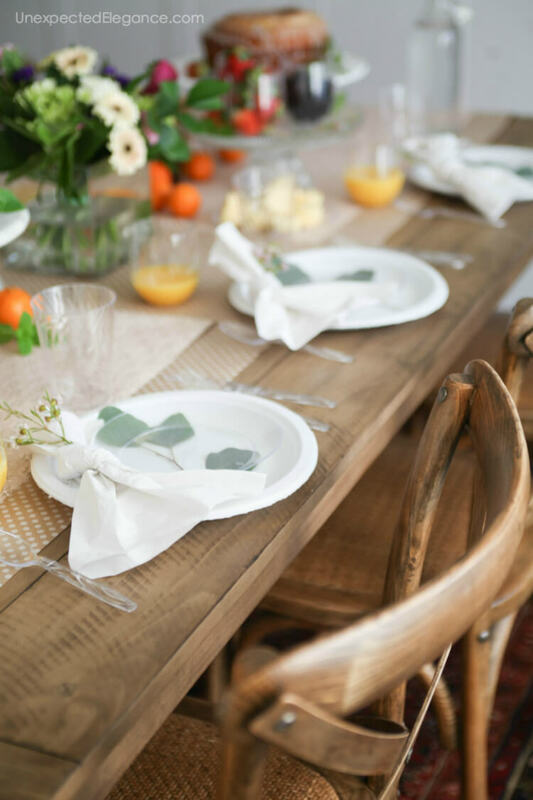 I recently teamed up with the Chinet® brand to share some fun and EASY spring brunch ideas. These simple tips and tricks make throwing any party a breeze. There’s no need to make things harder than they have to be, right?! 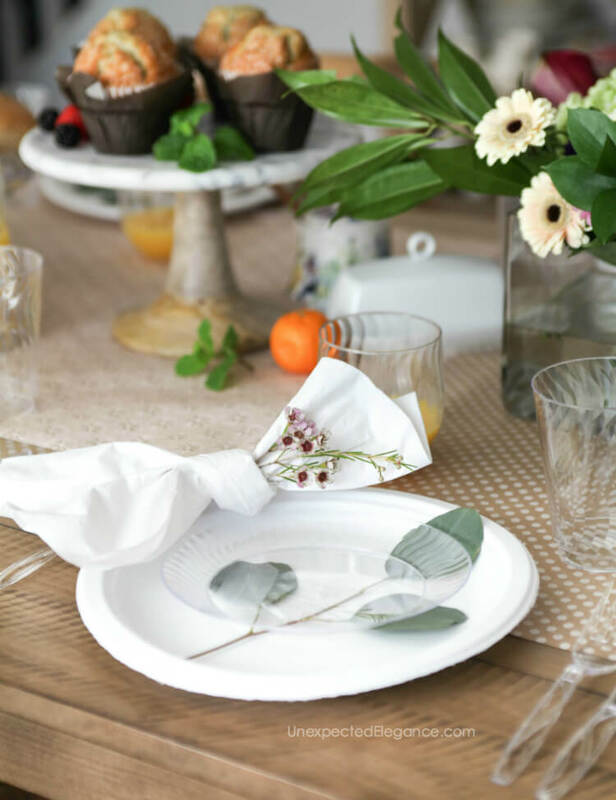 I’ll show you how to use disposable tableware like the Chinet® Cut Crystal® collection to create an elegant tablescape without the headache of cleanup! Also, I’ll tell you what to serve for brunch without spending all your time in the kitchen and show you a simple napkin knot that only takes a few seconds to create. Make sure you head over to the Chinet® blog to see it all come together! If you are looking for other creative ideas for spring entertaining, make sure you check out my Tips for Hosting a Spring Outdoor Dinner & recipe for a Raspberry Mojito Cocktail.